Avoid excessive troweling of an exterior concrete surface. Densification of the concrete surface darkens concrete color by reducing the water-to-cementitious materials ratio. Using wall forms with different degrees of wear and absorbency can result in color variations. Form materials with higher absorbency will reduce the surface water-cement ratio, resulting in a darker appearance. Clearly communicate with the owner or their representative concerning acceptable surface appearance. Construct a mockup that is left onsite or cast in a noncritical area to serve as an onsite "referee" to settle any misunderstandings. Use the identical mix intended for the work as well as the same placement method, forms, crew and curing method for your mockup. Shortcuts here will usually cause problems later. Establish early communications with the batch plant concerning mix performance to avoid the need to make less accurate adjustments in the field. If color is a priority, the mix should be delivered from the same plant for the entire placement. Prepare a uniform subgrade, and moisten the subgrade uniformly prior to concrete placement (but remove any standing water). For exterior flatwork, properly time final finishing operations and wait until all bleedwater has dissipated. Do not broadcast cement on the surface to accelerate this process, since this practice will commonly lead to discoloration. Avoid hard troweling exterior concrete. 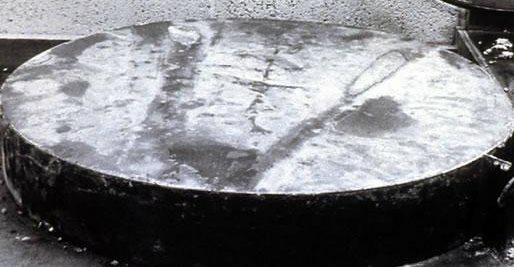 Not only can hard troweling reduce the air content of the concrete surface, making it less durable in freeze-thaw environments, it can also darken the concrete because it densifies the surface (see Photo 3). 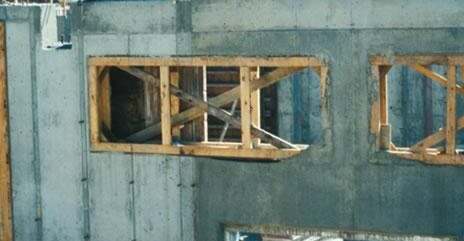 For vertical concrete work, use forms that are in good condition and won't absorb water or leak around the edges. Color differences may also occur when older forms are used immediately adjacent to concrete placed in new forms (see Photo 4). If you plan to use new forms, consult with the form manufacturer and prepare a mockup to establish standards for project acceptance. Clean forms thoroughly before use, and apply an even coat of form release oil to form faces in contact with concrete. Don't use calcium chloride in nonreinforced concrete when color and appearance are important. 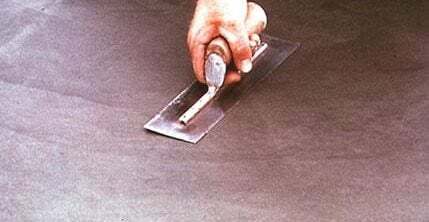 Cure the concrete uniformly over the entire surface. 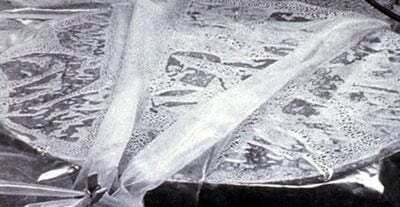 The best methods include wet curing with tepid water (at a temperature difference of no more than 20° F from the new concrete), proper application of a liquid curing compound, leaving forms in place, or by covering with polyethylene sheeting kept in uniform contact with the slab surface (see Photos 5 and 6).